While appraisals are used for insurance purposes, diamond certifications can be used to assist in the sale of your piece. 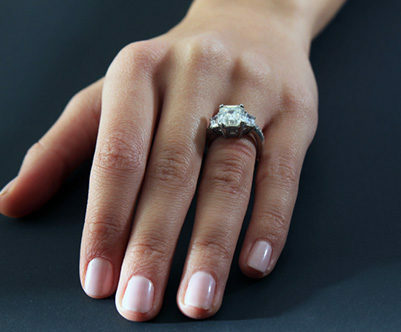 A certification can only be done by a laboratory whose sole purpose is to grade diamonds. This certification is a testament that the diamond has undergone a complete professional and unbiased examination. It is a report that is done by a gemologist who has evaluated, measured, and graded the diamond. A completed certification would include the diamond’s weight, color and clarity grade, as well as the other characteristics of the stone. If you have a diamond that may benefit from a certification, MJ Gabel will not only help advise you of this, but will also facilitate it for you. There are many companies that certify diamonds, but the most recognized, consistent, and unbiased laboratory is that of Gemological Institute of America, or GIA. MJ Gabel is proud of only using GIA to certify any diamond that our clients wish to have certified. Do not hesitate to ask your diamond professional if they think a certification may benefit your diamond. I could not have asked for a better experience. I was selling a ring and had no idea what I was doing. As I began to do research I found most sites seemed a bit “off” or had limited customer service for a process that was so intimidated. MJ Gabel was the exact opposite. Within moments of contacting them for advice I was talking with someone knowledgeable and supportive. Throughout the entire experience I was in constant contact with MJ Gabel and was always felt like I was being treated fairly and had someone who would ensure that I received maximum value for my ring. After all was said and done I did receive maximum value for my ring. I would highly recommend this business to anyone looking to use any of the services. Payment was received quickly and securely. Ask if it will be a GIA Graduate Gemologist who looks at your jewelry.